The other day I was enjoying a beautiful picnic near the woods behind my home in the mountains of Woodstock, New York. As I reached for a hunk of bread, I noticed some ants eyeing my alfresco lunch. And in a moment, the concept for this article was born. Ants are fast. If a human being could run as fast for his size as an ant can for his, he could run as fast as Seabiscuit, the celebrated Triple Crown winner. That’s nearly twice the speed of the world’s fastest human. Usain Bolt, you’re the world’s fastest human, but eat your heart out! Ants can also lift 20 times their own body weight. That would be the equivalent of a 200-pound weight lifter deadlifting 4,000 pounds (two tons). That’s nearly four times the world record of nearly 1,100 pounds that was set by Benedikt Magnusson, the Icelandic strongman. If the cold weather hulk attempted to deadlift the ant-adjusted weight he’d likely wind up stone cold and dead. Watching a tiny ant haul off a crumb of food bigger than it is, is awe inspiring. That would be equivalent to a 135-pound woman lifting a 135- pound can of tuna from the shelf of Sam’s Club. I know…the simile breaks down because the tuna cans in Sam’s are no heavier than one hundred and twenty five pounds. The ant has great speed and great strength, and can serve as an inspiration to human beings to cultivate both qualities. These are invaluable in the proverbial dark alley, where it would come in mighty handy when the fight or flight response gets triggered. I teach you about these little creepy things that ruin your picnics in the park because they have much to teach us. For example, despite your fears that they’re dirty, they’re actually clean and tidy, and care about our environment more than most of the people you know. Some worker ants are handed the responsibility of taking the rubbish from the nest area and putting it outside in a special rubbish dump. Ants have mastered adaptability, colonizing virtually every landmass on the planet, with the exception of some remote islands and Anarctica, just a little to the north of Icelander Benedkit Magnusson and his bench pressing. They thrive in most eco- sys tems. 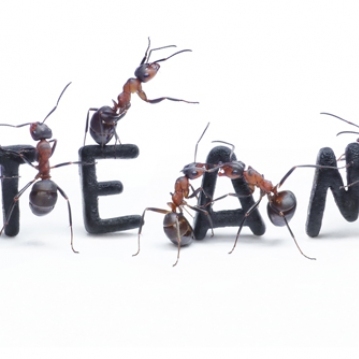 Societies of ants have extraordinary division of labor, as well as great communication between individuals, and a terrific ability to solve difficult problems. It makes one wonder how our culture could evolve if we could somehow hire the common ant as a consult-ant. Scientists know that there are many animals that can learn behaviors by imitation. Ants may be unique - apart from mammals - because interactive teaching has been observed. Controlled experiments with colonies of the antknown as Cerapachys biroi indicates that there’s a conscious choosing of specific roles in the nest that are based on previous experience. 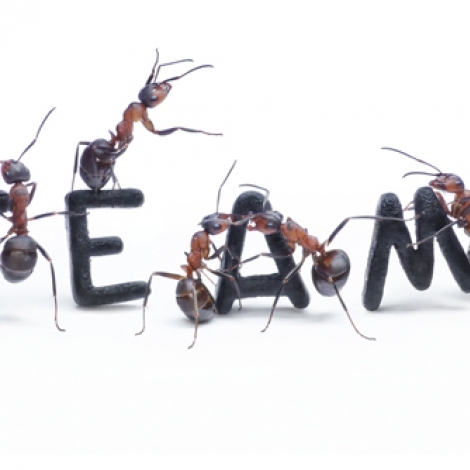 In a study of an entire generation of identical workers, the ants were split into two groups, each of whose results in finding food was completely controlled by scientists. One group, for example, was continually rewarded with prey to eat, while the other group always failed. As a result, the members of the rewarded group intensified their forays for food. The group that was shut out in obtaining food reduced their efforts. A month into the study, the lucky foragers persevered, while the others quit looking for food and concentrated on brood care. In other words, they stopped thinking that the same actions would result in different results. You might recognize in my wording the colloquial definition of insanity: doing the same things and expecting different results. Ants, therefore, can teach us how to be less crazy. We can, like them, get the message that the Universe is sending us, and move on. In summary, we have much to learn from the ant. We can increase our speed and our strength, we can learn greater environmental consciousness, greater adaptation, improved harmony with other species, clearer communications, and quicker ability to learn from mistakes and move on in life.